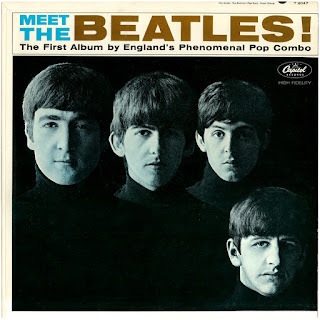 Beatles FAQ: What was the first Beatles album released in the US? What was the first Beatles album released in the US? In 1962 Capitol Records, the sister company of EMI, were offered the opportunity to release the first Beatles singles in the USA. But because British acts typically had little success in the American market Capitol turned the opportunity down. It was two small companies Vee-Jay Records and Swan who saw some potential for American sales. Vee-Jay Records were a small Chicago label, specialising in soul records. They signed The Beatles in order to secure a bigger star: Frank Ifield. As part of the deal Vee-Jay released Please Please Me in February 1963. 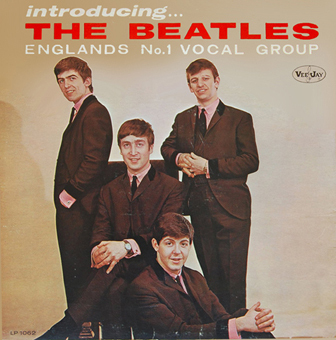 Despite this Vee-Jay scheduled the release of the first album ('Please Please Me' in the UK) for July 1963. With Beatlemania building in Britain, This seemed a very shrewd move until the release was suddenly cancelled without warning. It transpired that the company president had a gambling problem and Vee-Jay Records was in serious financial trouble. The July release was cancelled. In the early Autumn, Brian Epstein asked Lennon and McCartney to write a song aimed at the US market. They came up with 'I Want to Hold Your Hand' - which was to be the biggest selling single of their career. But at that point no US record company had the right to release it. 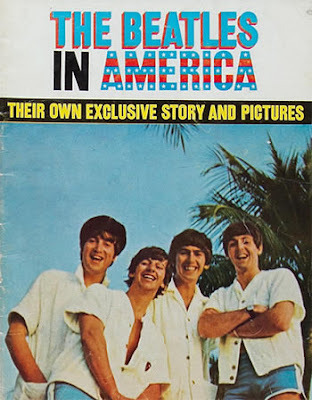 American audiences see news reports of ‘Beatles madness’ in the UK. But they do not hear their records. Then a Washington DJ gets a copy of I Want to Hold Your Hand’ via his air-stewardess girlfriend. He plays it to a US radio audience for the first time on December 17. The audience loves it. Soon he is playing I Want to Hold Your Hand’ every hour. Capitol Records finally realise what they were missing. They began arranging for the release of the first Beatles LP. At the same time Vee-Jay saw the answer to their financial problems - they rush released Introducing the Beatles - minus the two singles which were subject to legal challenges - on January 10 1963. The record sold one million copies in the ten days before Capitol released their 'debut' Beatles album.